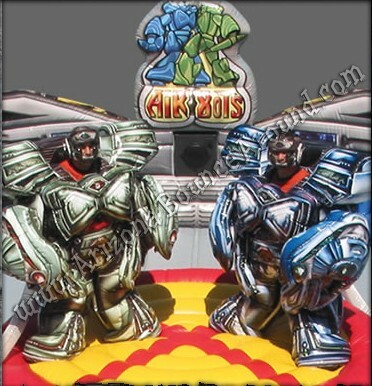 Airbots is an inflatable battle game in which participants get into a transformer like sumo wrestling suit in order to engage in a exciting wrestling match with each other. 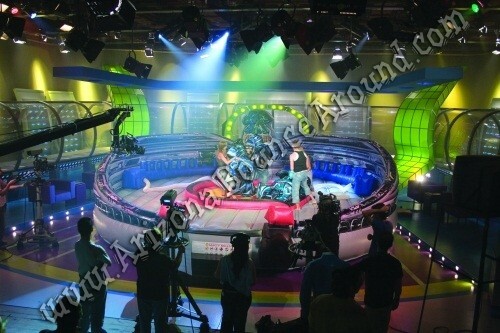 This game includes 2 Air Bot suits, 2 helmets and exciting audio system staffed by 2 employees. Each person enters the inflatable arena and puts on the suit and helmet then when both people are ready we turn on the fun by hitting the battle switch that activates the music and inflates the suits. 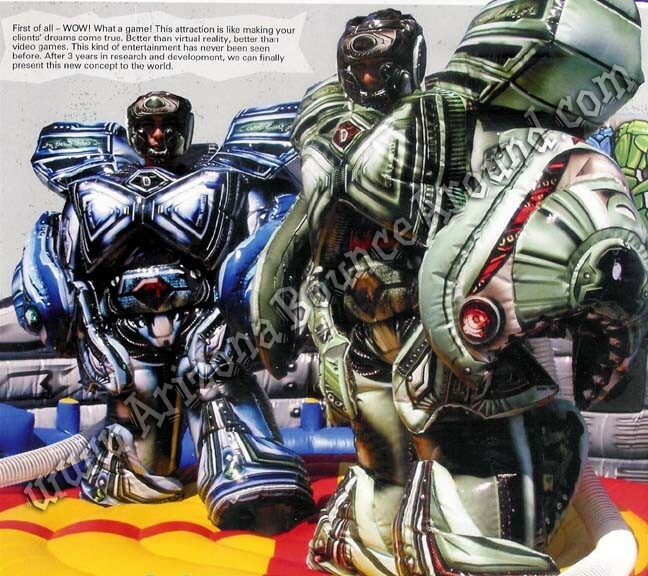 Being inside the suit gives the player an amazing feeling as the suit inflates turning the person into a transformer robot ready to battle the other player so with the added size and cushion they tackle the oponent and try and knock them off their feet. Adult and kids sizes are available for this game. This is a guaranteed hit for your party or event! This air bots game rental price includes standard set up. Standard setup is considered a real grass area that we can stake into the ground or indoors. Within 80 feet of sufficient electrical supply. Delivery and removal within included delivery area with no restrictions for delivery, set up or pickup. We do not install this Air Bots game on dirt or sand but it can be setup on asphalt, concrete or artificial grass by adding sand bags to your order.